Digital Leisure  has officially announced Mix Superstar  for the Wii. Expected to be available on WiiWare in 2010, and according to the game’s site, you’ll be able to create, mix and record your own royalty-free musical masterpieces right on your Wii™. Mix Superstar will allow you to export your music creations or download them to your computer so you can take them on-the-go. You will also be able to use WiiConnect24™ to send those hits to your Wii Friends or collaborate on mixes. Mix Superstar has full support for both the Logitech® USB Microphone and Wii Speak so you will even be able to add your own vocals. Wired Woman Vancouver  invites you to discover the value and learn effective strategies for Building a Community Through Social Media , a one-evening seminar taking place on June 14th at UBC Robson Square. Tickets for this event  are $35.00 for members or $40.00 for non-members. Wired Woman costs nothing to join, so save a quick $5.00 by joining the network. If you are in Toronto, Wired Woman is hosting an evening event on June 1st titled Social Networking Your Way to Better Work  with guest speaker Mark Swartz, author of Get Wired, You’re Hired. Namco Networks  is excited to announce its ‘Win a PAC-MAN-themed smart car’ sweepstakes to celebrate the video game icon’s 30th birthday. From May 21 through August 20, participants from the U.S. and Canada are encouraged to visit PAC-MAN’s official site  and fill out the electronic entry form. No purchase is required to enter but you must be at least 18 years of age. Further information on the sweepstakes, including official rules and regulations, can also be found there. The winner of the brand new 2010 PAC-MAN-themed smart car will be selected on September 3, 2010. *Note: At press time, the electronic entry form was not visible on the site. 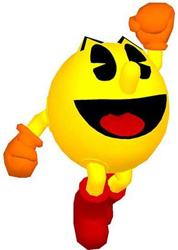 I haven’t been able to speak with anyone from Namco yet, but perhaps the form will become available on May 22, which Namco has stated online is the “official” birthday for Mr. PacMan. There are a large number of Canadian-made games or foreign games with Canadian-made components on this year’s Long List of Nominees for a 2010 Golden Joystick Award . This is the first round of voting for the UK-based awards, so be sure to head on over and vote for your favourite Canadian titles. Meanwhile, as part of its ongoing work to end violence against women and offer violence prevention and intervention tools, YWCA Canada , the country’s oldest and largest women’s multi-service organization, announced today the launch of the YWCA Safety Siren app . The unique safety siren is activated with a press of a button or a quick shake and turns an iPhone or iTouch into a multi-functional safety device. Part of YWCA’s Power of Being a Girl anti-violence initiative, the app is available for free in the App Store. Winnipeg’s Indigo Rose Software  has announced the immediate availability of AutoPlay Media Studio 8 for Windows . 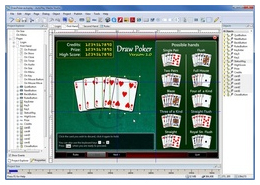 A mainstay in the software development industry for developing user-friendly autorun CD, DVD and USB menus, version 8 takes the product line in a bold new direction. Additionally, a ‘Personal Edition’ of AutoPlay Media Studio 8 is available free of charge for non-commercial applications, such as students, hobbyists and people writing public domain and open source software. It can be downloaded directly from AutoPlay.org .